You bought a Computer, $1,800.00 before GST, for the company from a retail store with your credit card. 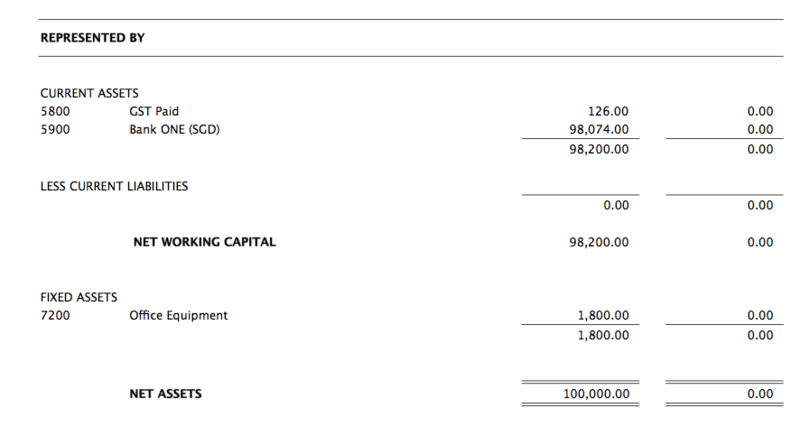 How are you going to record this amount owing to you and the fixed asset in your MoneyWorks accounting software? 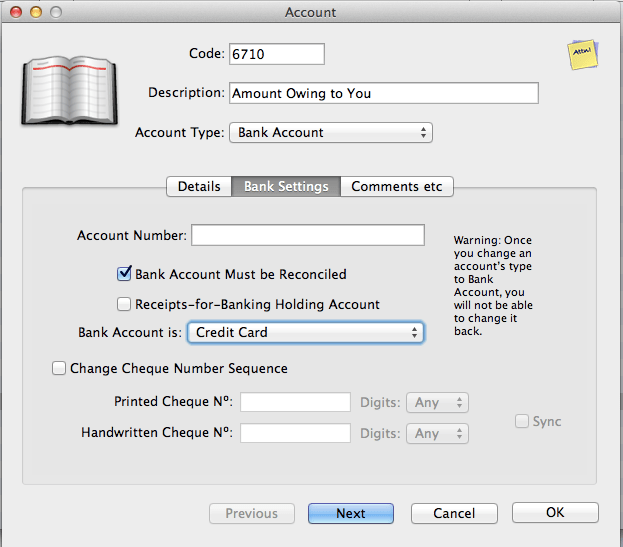 You need to add a new Bank account type of account, the description of the account can be “Amount Owing to You”. Then, at the Bank Settings tab of the bank account, select “Credit Card” from the “Bank Account is” drop down list. 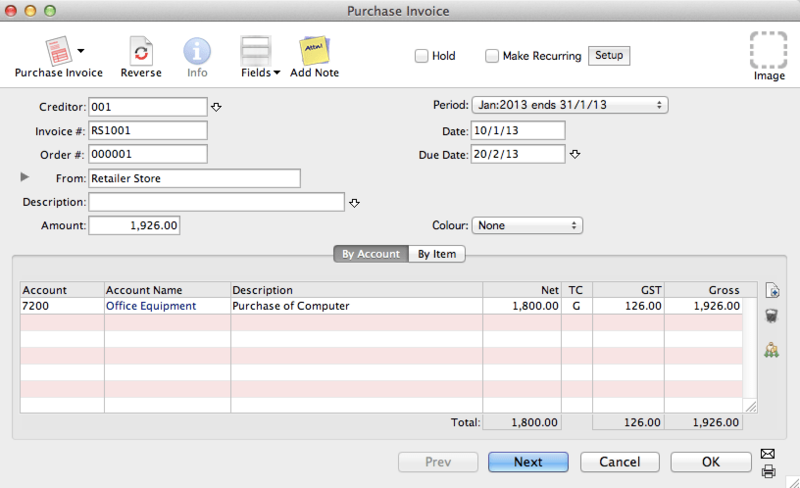 Next, use the Purchase Invoice transaction to record the purchase of the Computer. You need to select the Fixed Asset account in the “By Account” tab; in our example, we use Office Equipment account. If you prefer to pay directly instead of recording the supplier bill and follow by payment of the bill, you can skip this Purchase Invoice step and record the purchase using the Payment transaction. In the Payment transaction, you will use the fixed asset account as the above in the “By Account” tab. In the Balance Sheet report, both the Accounts Payable account and the Fixed Asset account will be updated. 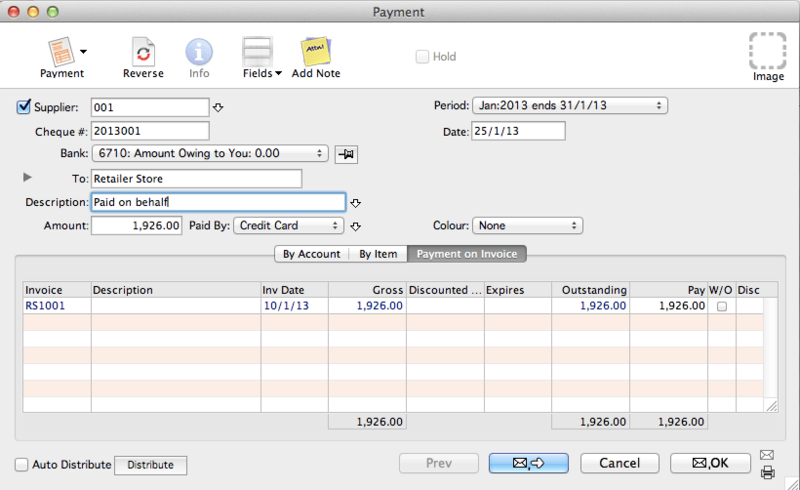 Use the Payment transaction to make payment for your supplier’s bill for the computer purchased. 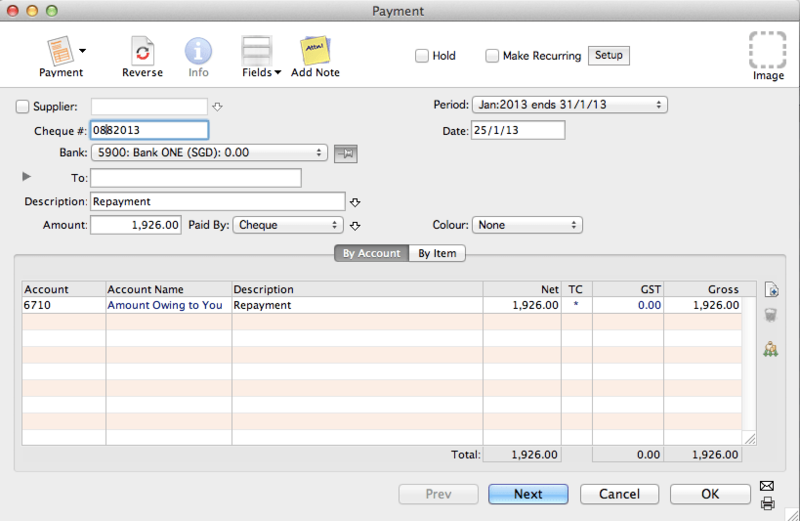 In the payment transaction, select the “Amount Owing to You” account from the drop down list of the Bank field. 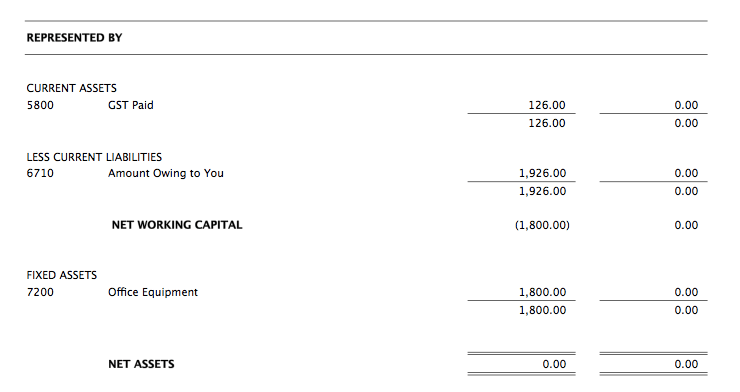 With this payment, the Balance Sheet report, the “Amount Owing to You” account will be updated and presented in the Current Liability section. To make payment to yourself, you use a Payment transaction. The Bank account use in the Payment transaction will be your actual bank account that pays you and select the “Amount Owing to You” account in the Account tab. This entry was posted in Accounting, Fixed Asset, MoneyWorks, MoneyWorks v6 and tagged accounting software, Accounts Payable, Credit Card, mac accounting software, MoneyWorks, MoneyWorks Singapore, Singapore, Small Business Accounting Software. Bookmark the permalink.